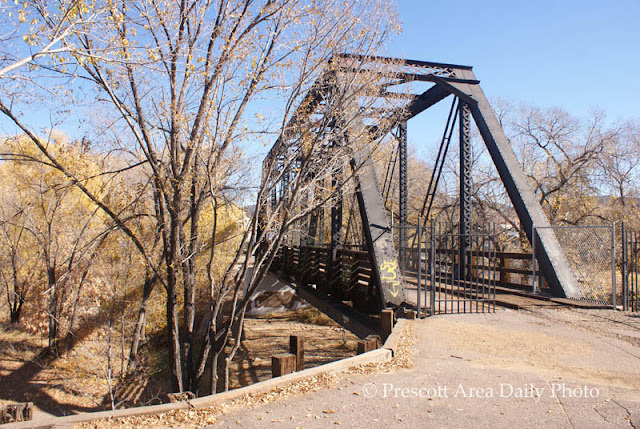 The old railroad bridge in downtown Prescott. The old depot can be seen through the bridge. Is it used as part of some promenade today? Love bridges like these. Wonderful shots! It's hard to believe that's downtown. It looks so rural. It does have a rural look. It's beautiful. Is it part of a trail system. There's a national trail system that uses old railroad beds. 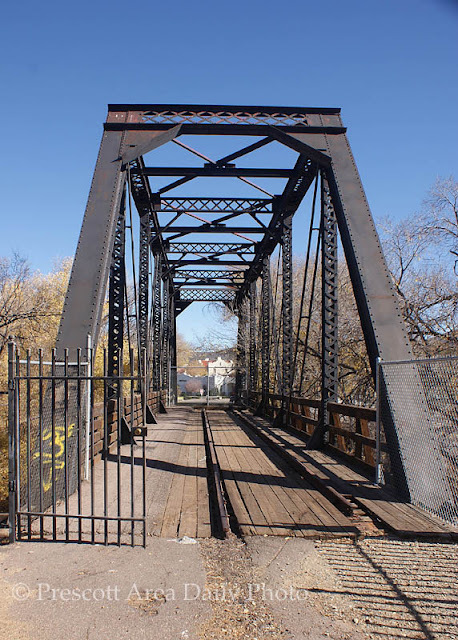 I remember walking across the Missouri River once on a railroad bridge but that's another story!